Best Tivo to Apple TV solutions on Mac 10.9 Mavericks, this guide show you how to trim out commercials in your EyeTV Tivo recordings, and convert to best M4V file for your Apple TV on Mac. 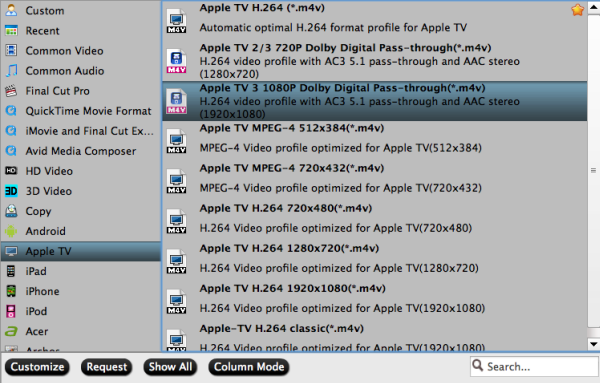 Elgato’s EyeTV is Mac OS X software that provides a user interface to the various TV Tuners from Elgato and some licensees. It is bundled with TV Tuner products sold by Elgato and is offered separately as well. Its main function as a PVR is to show the Tuner’s received TV programs on the computer screen. It can show live programs and also offers Time shifting. It can record programs permanently to disk, by pre-programming. Comskip is a free mpeg commercial detector. It is a windows console application that reads a mpeg file and analyses the content based on a large amount of configurable parameters. After analysis it generates a file in various possible formats containing the location of the commercials inside the mpeg file. Comskip is a console window program. This means it does not have a nice windows user interface. As it’s not completely compatible with your OS, you may need to run Comskip manually which can be confusing for many users. It’s not a free software but not overpriced. Comparatively it has a better (simple and straight) interface which allows users trim out commercials freely on their own. 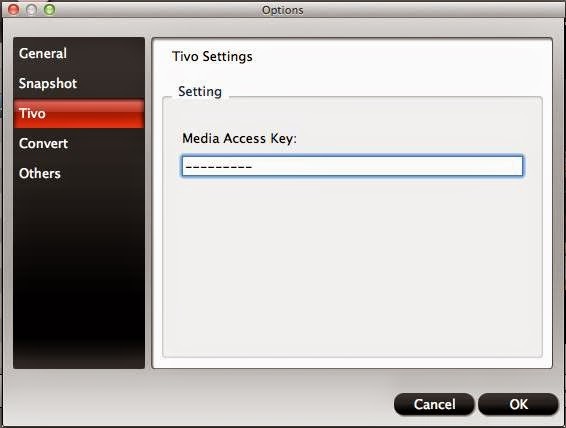 Launch Pavtube Video Converter (for Mac), click “Option” icon and switch to Tivo tab, submit your tivo key firstly. Click the “Format” list and choose preset according to your ATV model. As I’m using Apple TV 2 also want surround sound, I chose Apple TV 2/3 720P Dolby Digital Pass-through(*.m4v). Back to main UI, click the big red “Convert” to start converting commercial-free Tivo recording to Apple TV format. 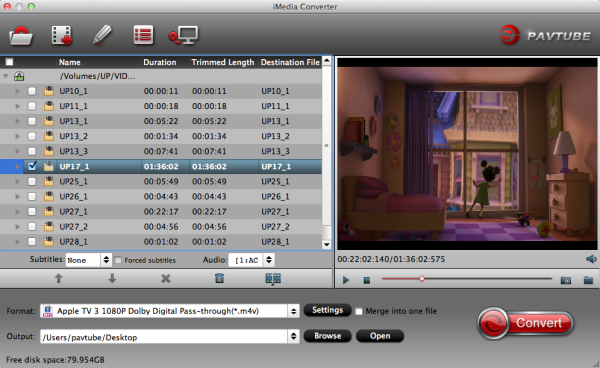 After conversion, click “Open output folder” and you can find the converted video easily.